Biotechnology – A problem approach, covers the basic concepts, methodologies and applications of biotechnology. This book provides a balanced introduction to all major areas of the subject. The chapters such as Biomolecules and catalysis, Bioenergetics and metabolism, Cell structure and functions, Immunology, Genetics, Bioinformatics and Bioprocess engineering were selected in a sharply focused manner without overwhelming or excessive details. Sincere efforts have been made to support textual clarifications and explanations with the help of flow charts, figures and tables to make learning easy and convincing. The chapters have been supplemented with self-tests and questions so as to check one’s own level of knowledge. 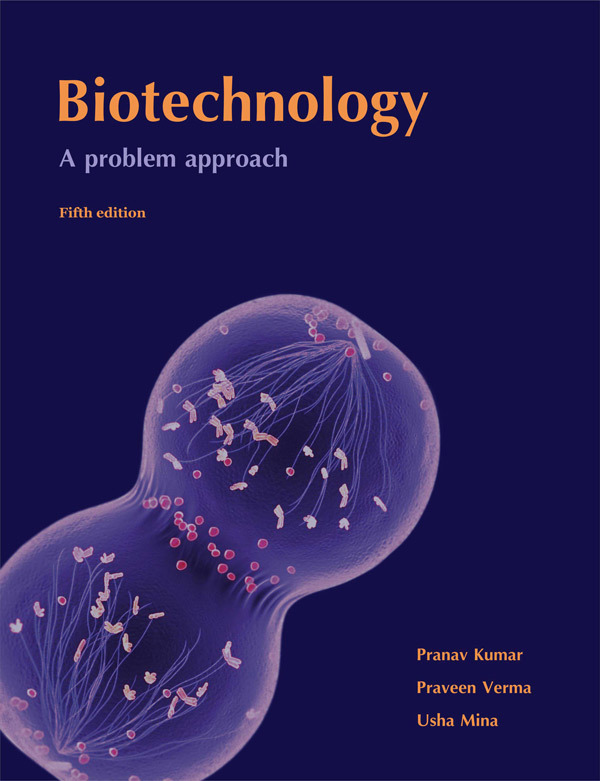 This book has been designed to serve as a comprehensive biotechnology textbook as well as for GATE Biotechnology and DBT-JRF.